April 22nd – 24th 2016 – SORRY, WE ARE SOLD OUT! This will be a weekend to remember. The Routeburn Classic is a CLASSIC in every sense of the word. It’s a challenging yet scenically stunning run through one of the most beautiful places on the planet. But it does come with certain logistical difficulties – unless, that is, you sign up for our Tour! You’ll meet your hosts, Mal and Sally Law, at Queenstown Airport on Friday afternoon – time your flight in so we can meet you at 4.15pm. From the airport we’ll make the 2-hour drive to Te Anau, check in at the comfortable Distinction Luxmore Hotel, and complete our Race Registration and gear check at Outside Sports. Dinner on Friday night will be at the always good, always entertaining, local Italian La Dolce Vita. In the morning, after a buffet breakfast in the hotel, we’ll board the bus for the drive to the start line at The Divide. 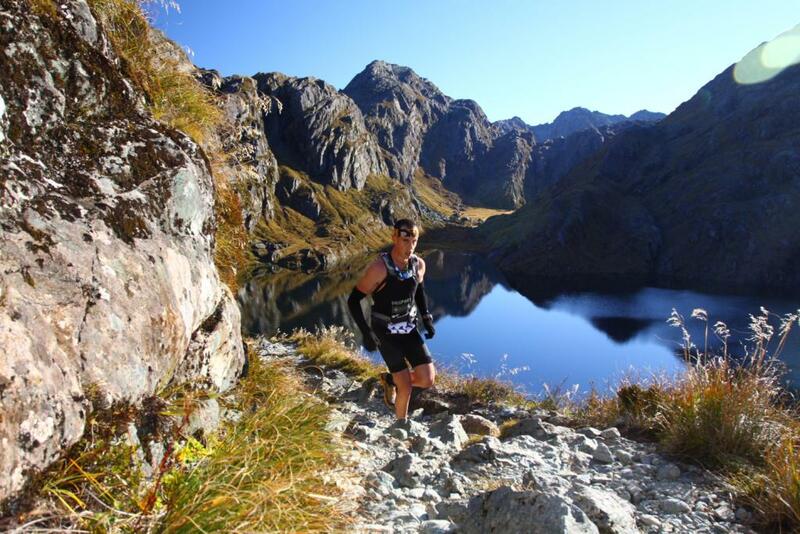 And then do what we came here for – run on brilliant trail through awe-inspiring landscapes. We’ll meet you at the finish line, which always has a festive and uplifting atmosphere, and is a great place to savour your achievement while you imbibe a cold beverage and tuck into some post-race food. We’ll then drive back into Queenstown and settle in to our top-notch accommodation at High View Apartments, before taking the Gondola up to the Skyline Restaurant for a buffet dinner and the one-of-a-kind prize giving ceremony. Race Director Evan McWhirter has to be seen (and heard) to be believed – his antics are always a Classic highlight! Further celebrations in a Queenstown bar will likely ensue, but these are of course optional. After a good night’s sleep we’ll stroll into town for a great Sunday morning breakfast at the legendary Vudu Café & Larder, give you a little free time to explore the town some more, then head out to the wonderful Amisfield Winery for a long & relaxing lunch. From there we can drop you back at the airport or, if you’re staying on a bit longer, take you back into town. A deposit of NZ$200 per person is required to register for the tour, with full payment due by Jan 22nd 2016. If cancellation is made any time prior to Jan 22nd 2016 then all money paid will be returned in full less a $50 handling fee. If cancellation is made Jan 22nd – Feb 28th 2016 then all money paid will be returned in full less a $200 handling fee. If cancellation is made after Feb 28th 2016 there will be a 50% return of all money paid.